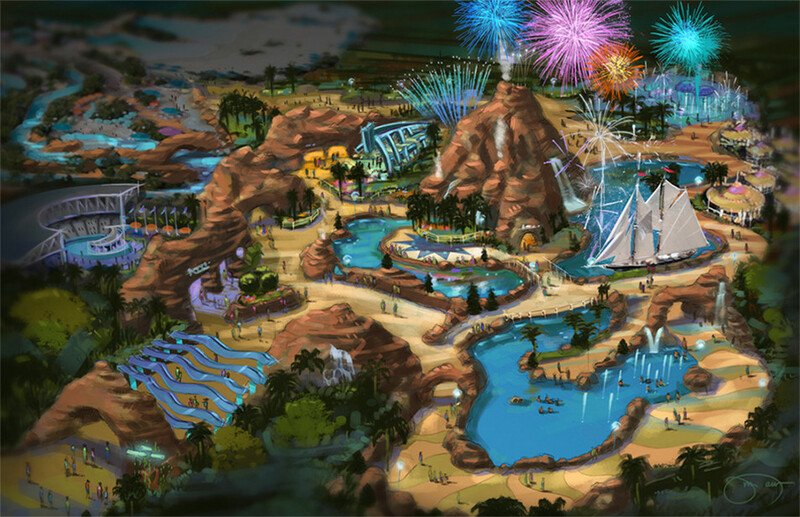 SeaWorld in San Diego is an outside aquarium and marine mammal theme park located in southern California. Razorfox Creative was called upon to assist SeaWorld with a few new master planning options for the parks new front gate enhancement project. Our creative team was tasked with coming up with several new concept ideas which included turning the front gate arrival into more of an immersive theme park attraction. 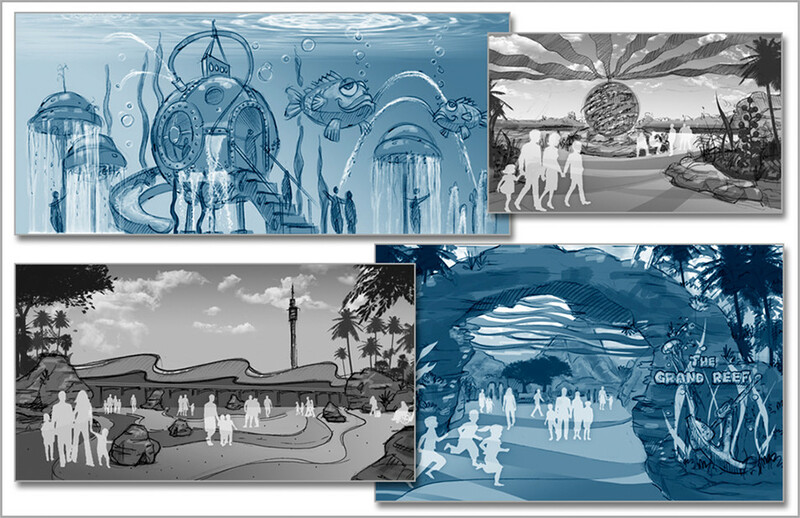 The goal of this new area, was to engage the arriving guests as they passed through the main entrance, transporting them into this thematic underwater adventure.